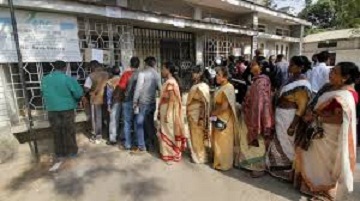 The members of Assam Nagarik Mancha on Tuesday alleged that the BJP government in the state is “anti-Bengali” and demanded that a new NRC be published with the voter list of 2014 being the bench mark. The complete draft of the National Register of Citizens (NRC), touted as a document of Assamese identity, was published last month and excluded the names of over 40 lakh people of the state. “The BJP government in Assam is anti-Bengali. It wants to remove Bengalis from Assam,” Bijay Chakraborty, general secretary of the Mancha, told reporters here. “The BJP came to power with the votes of these people and now all of a sudden they have become foreigners. We will never allow BJP to divide India on the basis of communal lines,” he said. Chakraborty said in the name of NRC the BJP is targeting Bengalis who have been living in Assam for the last several decades. “We demand that a new NRC should be published with the voter list of 2014 being the bench mark,” Chakraborty said.